Roasted turkey with apple sage glaze - Kosher In The Kitch! 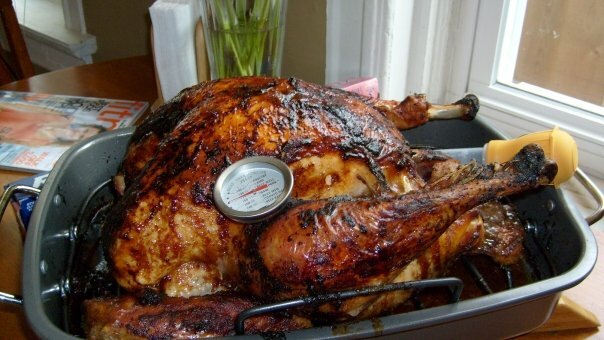 Roasted turkey with apple sage glaze - Kosher In The Kitch! RECIPE: Adapted from Bobby Flay’s recipe. I just eyeball everything, but here’s an estimate. First I coat the turkey with olive oil, kosher salt, fresh cracked black pepper, onion powder, garlic powder and roast. Combine all ingredients except the sage, and bring up to a boil. Then, add sage and simmer until it reduces by about half. Remove sage and when it is thick & sticky..brush over turkey continuously. This is also a great recipe for chicken.